Worms W.M.D. 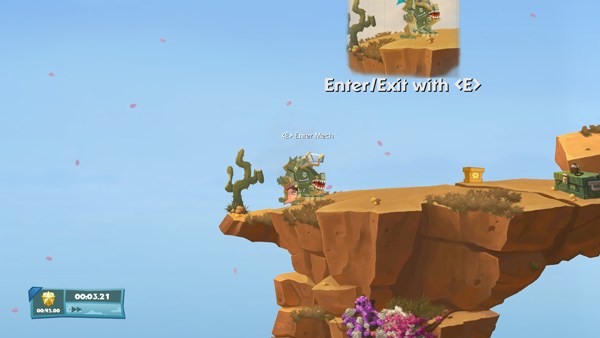 brings the most polished and robust gameplay we’ve seen in a “Worms” game to date. Is it enough to bring a new generation into the series? Worms W.M.D. has more than 80 weapons and a new crafting system. Swinging, flying and hurling weapons are just a few of your options. There are dozens of ways to blow your opponent into worm-ridden ash. 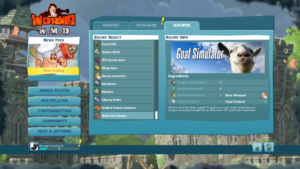 There are now more options than ever before for customizing your worms. There is also a great reward system for players too. Team 17 had systems like this in before but this is the best one so far. New crafting options and tie-ins add great content. Worms W.M.D. has more gameplay value than any other title of this type. They don’t just have multiplayer or a training mode. They also have challenge maps, bonus missions and campaign maps. It’s worth more than the $29.99 USD on Steam. Worms W.M.D. expands upon the “vehicular” concept that the other games toyed with. Now you have powerful mechs, helicopters and tanks that can roll through an entire team. It’s a brutal addition that adds goal-based gameplay to the mix. For sheer polish they’ve improved upon the game in dozens of ways. Whether you are using a controller or keyboard it’s easy to manage the huge numbers of weapons. You even have ways to customize each team down to the finest details. At times this series had a few titles that seemed “rushed”. This isn’t one of them. Goat Simulator masks and the Goat-on-a-Rope for Worms W.M.D. This is the most extensive cross-over content we’ve ever seen in a game. We wonder whether tie-ins like this will be common in future Team 17 games. Perhaps our only complaint is that the game sticks to the same essential formula. Each worm doesn’t have a unique power. New facets of gameplay aren’t explored. It’s the same game we’ve been playing all these years. It’s not enough to damage the game but we’d like to see them mix it up more in the future. They have done so in the past with games like Worms 3D and Golf. Those games did well too so we’d like to see what innovation Team 17 brings us later on. For sheer visuals the 2D version of this game never looked better. Beautiful locales round out impressive weapon effects. It’s a beautiful new vision of the series. Workshop Support for Worms W.M.D. 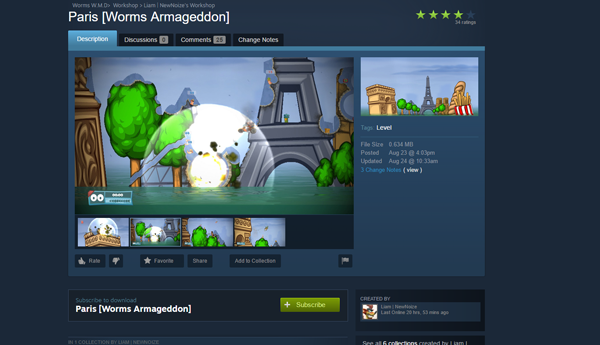 The Steam Workshop delivers infinite content for an already-robust game. It insures you’ll have missions to play for years to come. Fans are already recreating classic maps. This makes this game one of the strongest titles for content of the entire year. 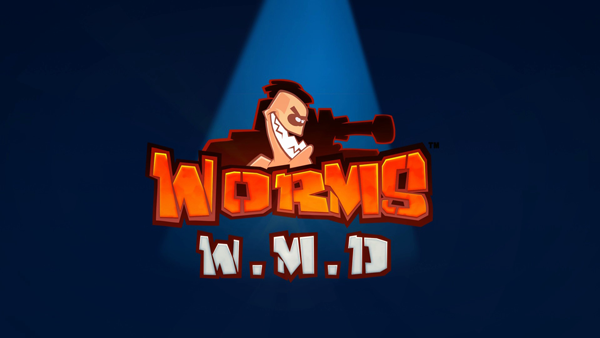 Final Verdict 4/5: Great – Worms W.M.D. delivers a new era of turn-based strategy. More weapons than ever and an incredible interface wrap up an all-around great title. Only the fact that it stays so close to the formula keeps the game from perfection. 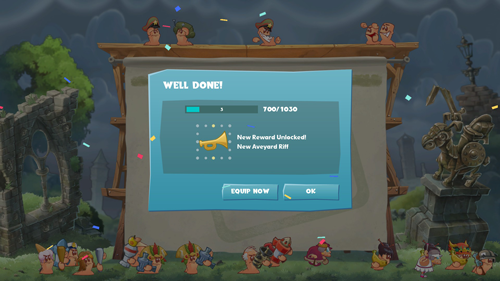 Despite this Worms W.M.D. has more content than we can explain to you. Be sure to check it out on Steam.